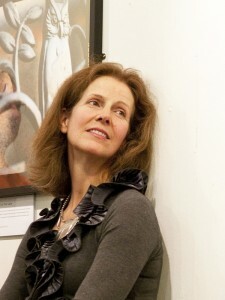 NINA KILLHAM currently lives in Melbourne. She is the author of three novels: How to Cook a Tart, Mounting Desire and Believe Me. She also writes short stories and screenplays. 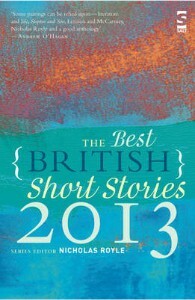 For Still she contributed ‘My Wife the Hyena’, which has been selected for inclusion in the annual anthology The Best British Short Stories 2013 (Salt), which is published next week. She’s currently writing a historical novel set in Singapore just before the Japanese invasion. Writing for me has been a way of processing my life. I’ve had a lot of change in my life. My father was a diplomat and so we moved every three years. I was always the new kid on the block, always the outsider, looking in, taking notes. I was writing in my mind long before I was putting it on paper. And once I began I couldn’t stop. The downside is that sometimes I become a spectator in my life rather than a participant. It’s something I’m trying to change. How do you fit time in to write? My children are growing up and I thought it would get easier to find the time to write. In fact it’s sometimes harder. Yes, they are out of the house longer going to school but I probably worry about them more. I wrote my first novel around my daughter’s naps. And it showed. My daughter wasn’t a big sleeper so my first draft was a series of little snippets written in about twenty minutes. I’ve recently taken to writing in my bed. Since we moved to Melbourne from north London, I have the most beautiful view outside my window: beautiful spring green Honey Locust trees waving in the wind. So I prop myself up with my laptop and stare out and eventually get some work done. Is life in the sunshine affecting your approach to writing? Life in the sunshine. Ah, can’t tell you how lovely it is. I had forgotten sunshine! The people are sunnier as well. Not sure how it will affect my writing. But I am getting it done and for that I’m very grateful. Of course the flat whites are probably a huge help. Does the short story format offer the opportunity to do something different and let your hair down so to speak? What let my hair down was that I was not trying to please an editor, an agent, or a perceived ‘buyer’ of my fiction. I’d been writing novels to a varying degree of success. When I approached my fourth, my third had just come out and sank without a trace. I suddenly became very panicky about ever getting published again. So I started looking to see what worked; what was sold, what was marketable. I drove myself and others mad. So when you asked for submissions I delighted to write what I wanted. I felt free and the entire experience has been the utmost pleasure. Do you have a secret/unpublished collection of short fiction? I do have a collection! You astute man! The stories circle around a north London primary school. Surprise, surprise. One day, perhaps, after they’ve matured a bit in my cellar, I will sort them out. There is nothing more satisfying to read than a good short story. That intense concentration rewarded with a pungent ending thought. I tend, though, to read more novels as they are something to sink into, to completely immerse myself in another world. I also think novels, though more time consuming and horribly muddy and murky at times, are easier to write. Bigger canvas. You get to splash more paint about. Mistakes get lost in the length. Short stories, to be effective, require more control, a sharper focus. Where did the inspiration for ‘My Wife the Hyena’ come from? The title came first. In fact I’d wanted to write a story called ‘My Wife the Hyena’ for a while because I’ve long noticed the similarities between society’s perception of hyenas and women. A bit too pushy, a bit too gamey and earthy, possessed of a mean streak, with wicked, raucous laughter… When I saw your photograph I immediately saw how it could work. 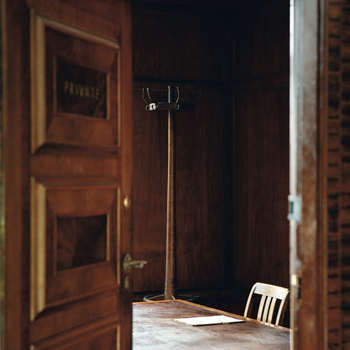 What I found evocative about your photos was the idea that even though there was no one in the rooms you felt a presence. It was as if someone had just stepped away. The photo I picked with the desk and the coat rack seemed so lonely. It spoke to me of a long, dutiful, rigid and utterly lonely life. Who knows what another viewer would have made of it. That was what was brilliant about Still. So many takes on one body of work. How did you find working with a visual artist? I loved working with a visual artist. I can spend hours looking at paintings and photography. In fact I always ask for art books for my birthday. So when you sent me the photographs it felt like something I do on my time off anyway and it really sparked my imagination. I’m also a Sunday painter and wish I was better. So I was just thrilled to be working with you. Do you use visuals as inspiration for your writing? I don’t usually. Perhaps I should. My first three novels were contemporary satires so I didn’t think to look at pictures. Currently I’m writing a historical novel and I am looking at photographs of the time. They inspire me in the sense I am trying very hard to impart my visual fascination with the era into words. How do you approach a new writing project? It differs. My first novel was fun because I didn’t know better. I just wrote what I thought was amusing and luckily I found an agent and editor who agreed. The second and third I had to approach more professionally, with a little more of an eye to what I thought might be of interest to readers. With my latest book, the historical novel, I have been fairly calculated, trying to come up with something my agent would approve of. And yet at the same time I have had to make sure it’s something that resonates with me, that truly fascinates me. Otherwise it will fall flat. It’s a historical novel set in Singapore right before the Japanese invasion. I find the Peranaken culture – which is a mixture of Chinese and Malay – fascinating. The book is a bit of an octopus at the moment as all the characters are coming alive and saying what they think. Which is brilliant. But I always find the length of novels cumbersome. It’s like being in a dark wood and I can’t see the path in front or behind. I lose my way in my own novel. I love Evelyn Waugh. Handful of Dust would have to be my favourite book. I reread it regularly and laugh deliciously at his viciousness. The way the book ends is sheer brilliance. Graham Greene is another favourite. The Quiet American in particular. I’m coming to the age, unfortunately, where I forget everything I read almost as soon as I close the book. But I loved Life of Pi and oldies but goodies like Love in the Time of Cholera. Now that I’m in Australia I’m immersing myself in its literature. I recently read a gorgeous book called Rules for Scientific Living by Carrie Tiffany. Just beautiful. Advice to a budding writer? Had you asked me that ten years ago I would have said just write, write, write, and eventually you will learn your craft and you will get an agent who will get you a publisher. But now, I don’t know. I feel like so much has changed in the publishing world that it’s barely recognizable. And yes, I suppose, in the end, my advice would be the same. The write, write, write, part anyway. After that I’d probably add, learn your social media to make contacts. Mainly I’d say, be bold. Be you. Thank you so much for this, Roelof. 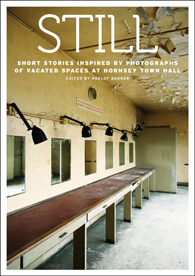 It’s a wonderful collection of stories and such beautiful photographs. A wonderfully effective story, Nina, that will stay with me a long time.